With rich industry experiences and in-depth product knowledge, we have gained expertise in manufacturing and exporting an extensive range of Key Chain. Stringently supervised by these professionals, the range is manufactured using quality approved raw material. 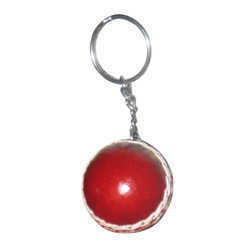 We have carved a niche for ourselves by presenting an elegant collection of Cricket Ball Keyring, which is designed and manufactured using genuine leather and other material.Manufactured with utmost perfection employing advanced techniques, these key rings have a miniature football dangling from it. Due to the support of our professionals and sound manufacturing facilities, we are able to meet bulk demands of the clients. Owing to our rich industry experience and domain expertise, we have been able to present an exclusive collection of Football Keyring. Keeping a tab on the quality and changing market trends, these keyrings are specifically crafted making use of superior grade raw material. Further this range is well tested on various parameters to ensure its flawlessness. 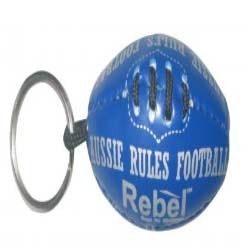 Reflecting the excellence of our designers and artisans, our enticing collection of Australia Rule Football Keyring is widely preferred and appreciated by people of all age groups.These keyrings are aesthetically manufactured usinggenuine and handmade leather procured from some of the trusted vendors of the market. 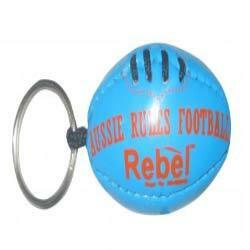 Designed with changing trends, these key rings have a miniature football dangling from it. 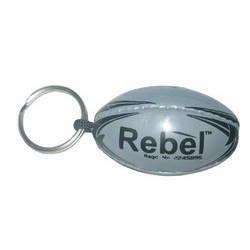 Looking for rugby ball Keychain ?